Theory Tuesdays is a nonacademic platform for theoretical discussion founded, organized and coordinated by artist Philip Matesic. 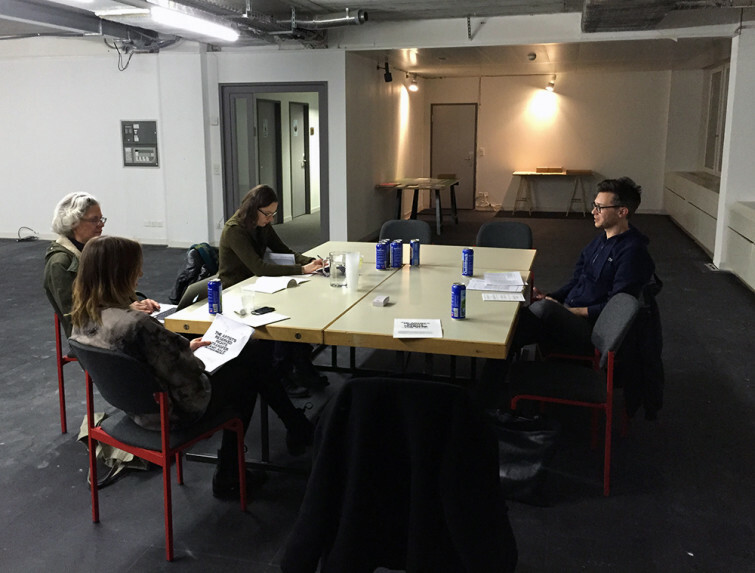 Participants read beforehand then discuss contemporary art, design, literary, cultural and critical theory on a weekly basis, with the texts selected and introduced each week by a different person. Theory Tuesdays has operated under an “Each One, Teach One” philosophy since its conception in 2009. During this Theory Tuesdays session, Rémi Jaccard presented “The Artist’s Reserved Rights Transfer And Sale Agreement” by Seth Siegelaub from 1971. Founded and coordinated by Philip Matesic.